The love for motorbikes has been there since its invention. People, precisely the men, gone mad behind this amazingtwo-wheeled mode of transportation and this further gave rise to its mass production. 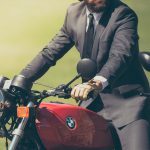 From the day when it was invented to this day, motorbikes have seen many transitions, and it comes as no wonder when we have so many brands and models around. This often comes as the problem for the bike lovers to end up on something one as they are not sure of the model that would be the best for them. Merged with the technology and invention, we now have the biggest platform to do all our research regarding anything. So, now, if you are looking for some reliable to know the latest models of motorbikes and all the information related, you must check out these top visited motorbike themed website, that just not talk about the motorbikes in fashion but beyond. Check out our listings of the top most visited motorbikes themed websites. The site helps you get you perfect riding partner after determining your height and personality. It looks up for the best motorbike that would suit your personality and inform you all the essential detailing of the bike that would help you in riding it like the angle and the knee level. These are a great site that helps all the riders out there, especially the short height riders and the women as it offers videos that guide them to adjust your bikes and control it despite being short height. This is another website in the list that helps you judge your motorbike and let you compare the stock gear ratio with your foot and rear sprocket. The site does the calculation of the top speed of the every gear with the customer gearing and the stock. The site is made for those who like to experiment with their riding partner. This website was started back in the year 1997 and is one of the earlier websites to hit the internet. The site basically shares experience and adventures of the thousands of motor bikers and inspire others to go for the same. Till date, they have shared more than 10,000 of stories on traveling, adventure, and other exciting stuff with motorbikes. If you are planning an adventure trip with your riding partner, the site can assist you in many terms. The site focuses on the service of the motorbikes, and they have opted the greatest way to do it. They have created digital manuals and have used colored images and videos to guide the bikers the type of services they need for their motorbikes. This site is visited to avail the different body parts of the bike and now is at the top of the websites visited for the purpose of the bike. So, now, if you are a total bike freak, these are the websites that you must check out.